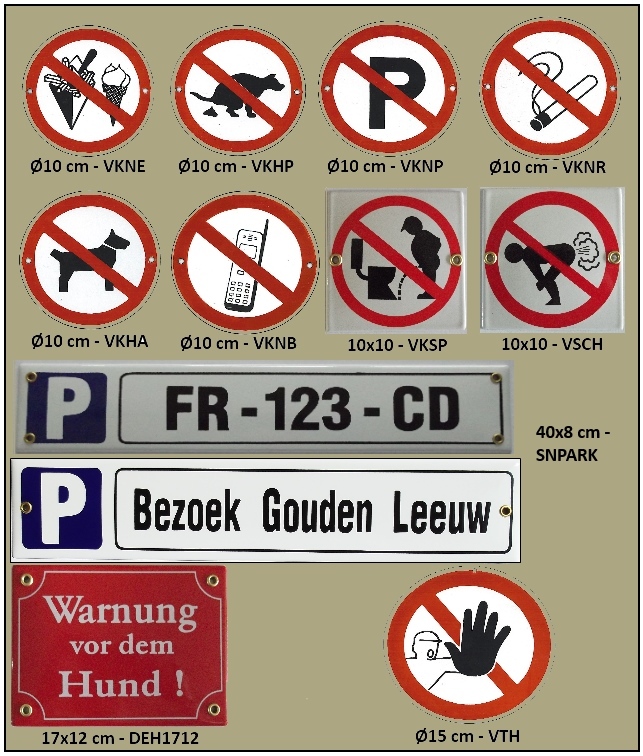 Almost all the signs you see here can be delivered from stock. 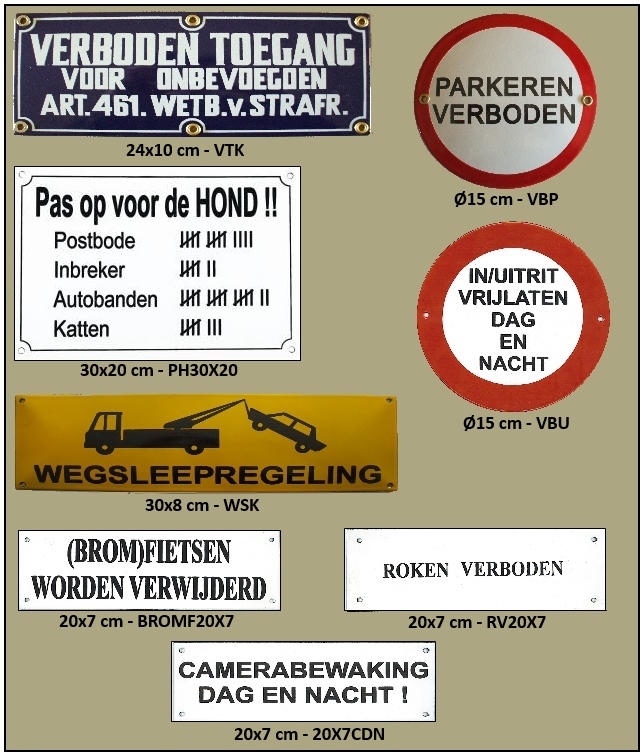 Of course we can also make special custom made prohibitory signs for you. Please contact us.